Citing a letter Apple sent to creditors, along with sources close to the matter, The Wall Street Journal reports Apple's $578 million contract with GT was marked with ineffective leadership, lack of expertise and a "sapphire graveyard" where a bulk of unusable material went to die. In a letter sent to creditors, Apple disclosed the beginnings of its doomed partnership with GT. 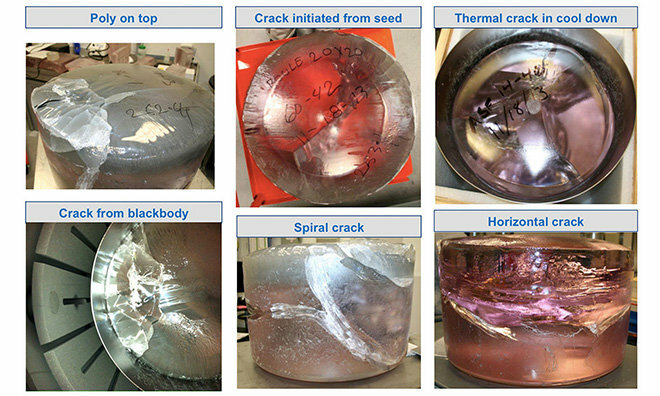 In March 2013, seven months before the partnership was announced, GT informed Apple that it had developed an advanced sapphire furnace capable of producing an extraordinarily large sapphire puck, or boule. Weighing in at 578 pounds, the boule was double the size of competing products. Instead of purchasing the furnaces outright, Apple lobbed the idea of lending GT more than $500 million to operate its own equipment at a plant in Mesa, Ariz., which would be leased to the company for $100 per month. Sources claim Apple had failed to locate a sapphire manufacturer and was reluctant to pay a roughly 40 percent margin for GT's ASF equipment. Prior to the Apple arrangement, GT was strictly a furnace manufacturer with little experience in operations, a fact quickly made apparent during the early stages of production. In fact, the first boule to pop out of a GT-run ASF furnace was completely unusable. That 578-pound chunk of sapphire was produced just days before Apple inked the agreement, the publication said. Quality improved somewhat over the intervening year, but about half of all sapphire produced at Mesa was unusable. Employees named the rows of unusable sapphire pucks that piled up at Mesa the "boule graveyard," the WSJ says. Apple said in the letter to creditors that it received only 10 percent of GT's agreed upon goal. In addition to poor yields, GT reportedly had a variety of other troubles. For example, a manager sent 500 bricks out for recycling instead of shipping them out for processing. The material was ultimately recovered. Another result of GT's inexperience with production operations was highlighted as the Mesa plant first started churning out material. According to the WSJ, the company hired 700 employees to kickstart manufacturing and kept adding workers despite not having enough furnaces built to accommodate them. These extra employees ended up sweeping floors, while some reportedly took advantage of a non-existent attendance policy and filed for an inordinate number of sick days. Things came to a head in September, when GT advised Apple of its financial problems. Despite GT not meeting contractual production goals, Apple offered to pay $100 million of a scheduled $139 million payment and push back repayment due dates, the report says. At the time, Apple had already handed over $439 million to GT, not including an additional $700 million spent on infrastructure. Apple and GT were set to discuss a possible increase in payments for 2015, as well as the ability for GT to sell its furnaces to outside buyers, on Oct. 7. A day before the scheduled meeting, GT filed for Chapter 11 bankruptcy protection. For its part, GT claims Apple's terms were "oppressive and burdensome" and today's report cites sources as saying Apple management confused matters by applying inconsistent quality standards. The fallout from the venture's failure has yet to be fully realized, but GT has already agreed to a settlement with Apple that will see the company sell off over 2,000 furnaces to repay its $439 million debt. Creditors backing the sapphire maker today successfully argued for an extension to the settlement's approval as they investigate claims of onerous terms imposed by Apple. As for the workers and Apple's Mesa facility, the futures of both are up in the air. Apple has promised to do as much as it can for existing staff, while a report on Tuesday said the plant would be repurposed, though no definite plans have been announced.